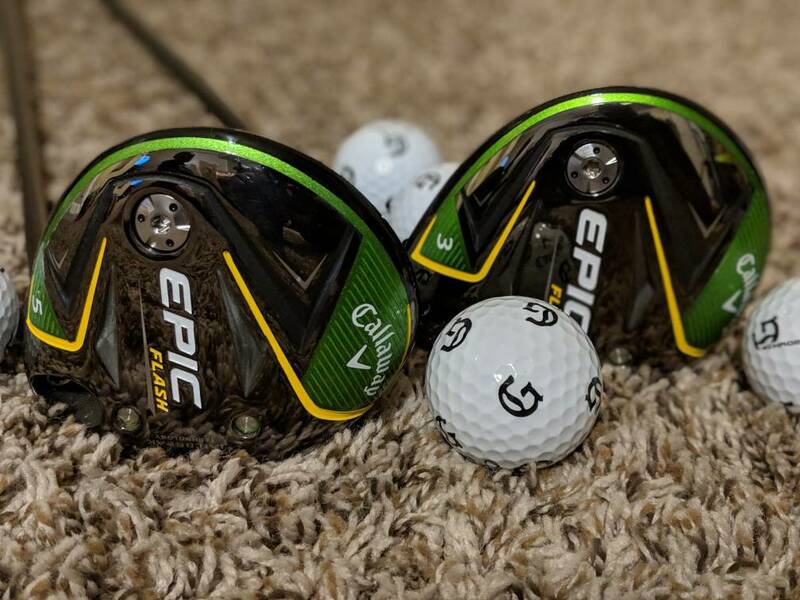 This thread will serve for reviews and discussions on the new 2019 Callaway Epic Flash and Epic Flash Sub Zero Fairways. Yes finally! Here are some pics and my initial review! These are long as well! I was gaming the Steelhead XR 3w and 816 Alpha 5w, which were good, but the feel off these are amazing. They also have the Flashface technology. I hit some great shots with these. 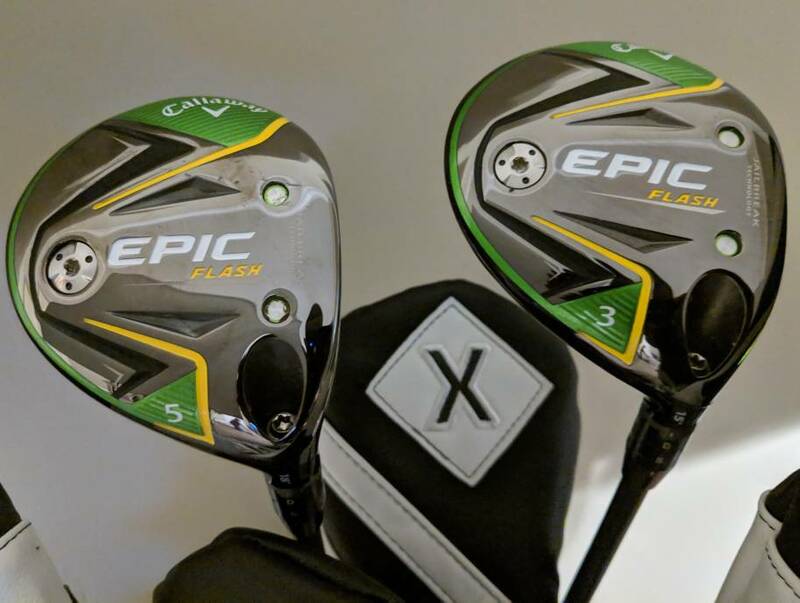 Didn’t have to use them too much as most of my shots were with my irons, so initial thoughts are great, but can’t wait to get these in play some more. 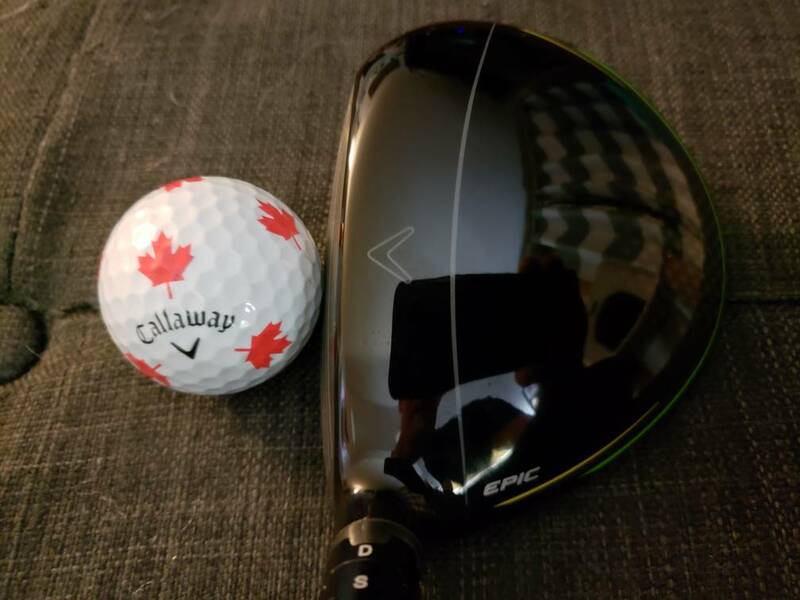 Both clubs off initial play with them and at the range during my fitting are my favorite fairway woods by far. These things are long. Since being back from the event, I am still hitting these things a long way. One shot that stuck out to me in particular was my round at Bear Trace a couple of weeks ago, I hit the 3w off the deck from 260 and hit it to just off the right side of the green to pin high. That’s a long way for me especially in the 40s for temps. More to come! 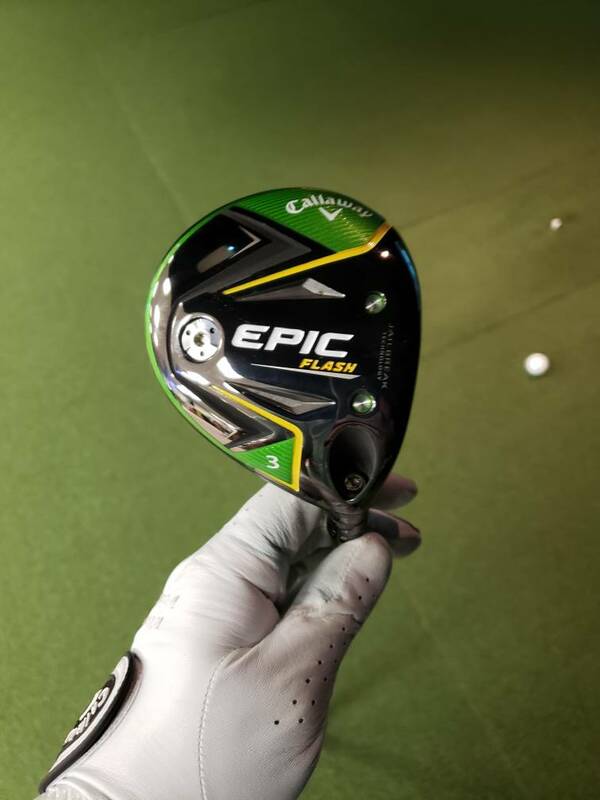 During my fitting at #TheGrandaddy I ended up in an Epic Flash Sub Zero 3 wood. 15* of loft, heavy weight forward, Graphite Design Tour AD-IZ 7x shaft. This is the club that I will be using as the basis for my reviews. 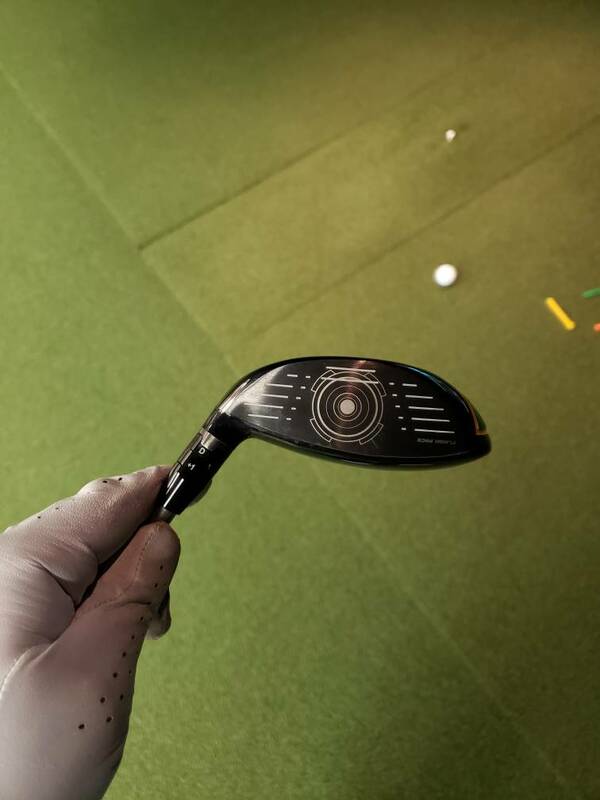 This fairway wood is one that I've been absolutely ITCHING to get my hands on and get into my bag. Jailbreak tech in a FW head is amazing and it makes an appearance here in the Epic Flash FWs, but in addition to the Jailbreak these FWs are also packing the Flash face tech. Basically these two technologies combine to deliver the most stable ball launcher I've ever used. The Jailbreak tech maximises the stability, efficiency, and forgiveness of the head while the Flash Face just ensures that no ball speed is left on the table. The Flash Face is designed by a super-computer by running thousands upon thousands of different variations in shape/thickness, within the known quantity of the head, until it is satisfied that it has reached the optimum specs. 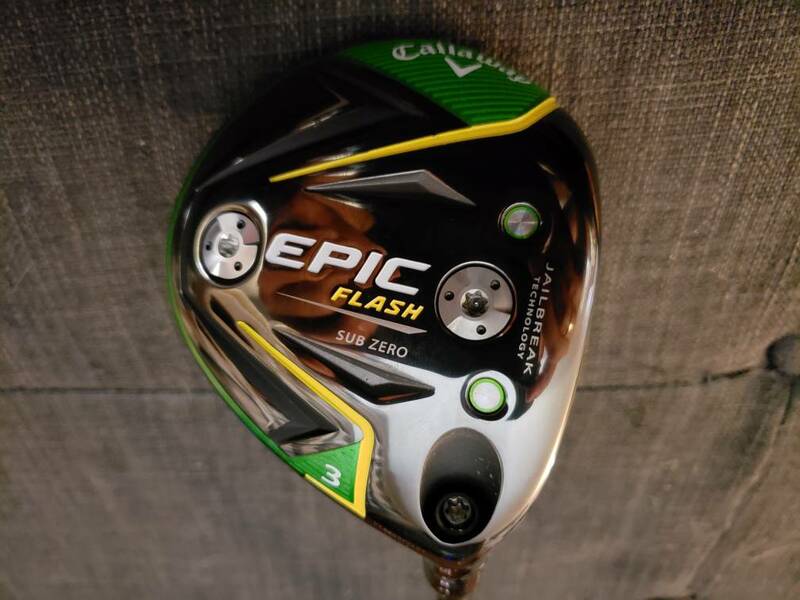 The guys at Callaway were very clear that theoretically taking a Flash face and putting it in any other club head would not yield favorable results at all. 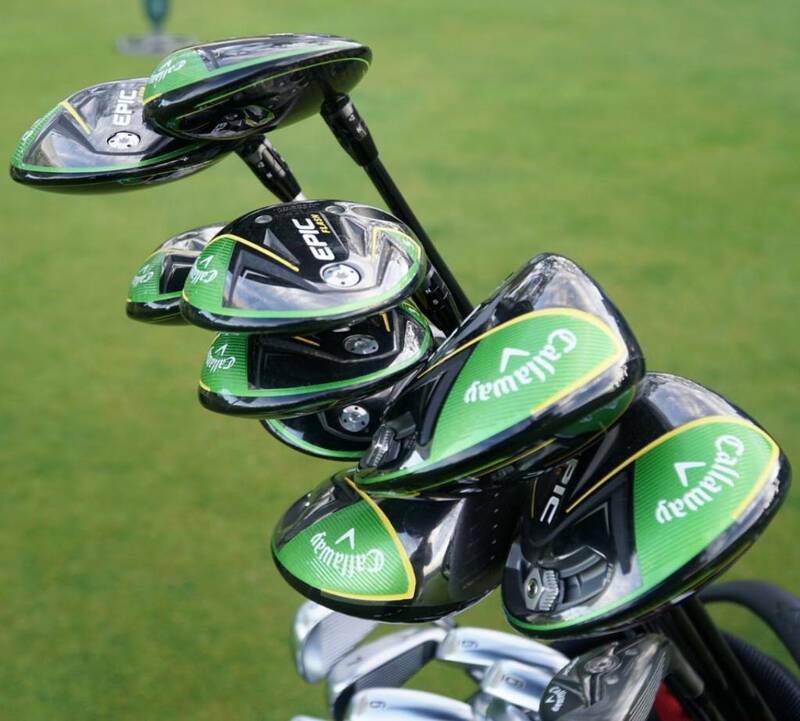 Each model's face is designed to specifically max out performance for that head and that head alone. 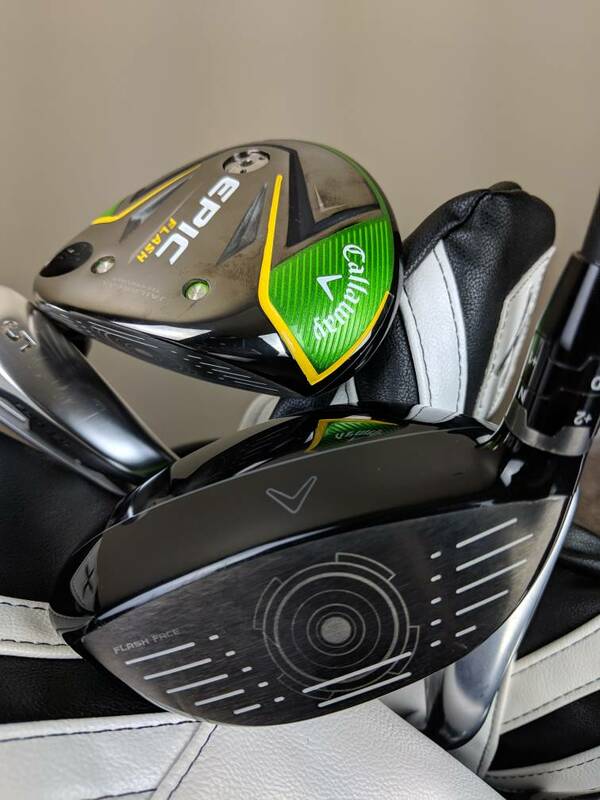 Callaway's new hosel adapter also makes an appearance here. This one is shorter and lighter, giving the designers more weight to play with in the club head itself. 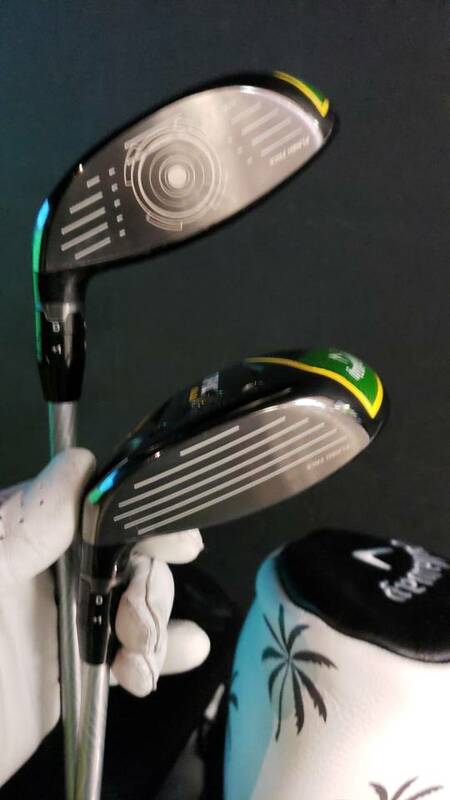 This 3 wood features all the same aesthetics as the driver, most notably being the green & yellow paint scheme, the new grey line and reduced carbon fiber look on the crown. The sole features a familiar 2-weight system with ports located front/back and one weight being heavier than the other. 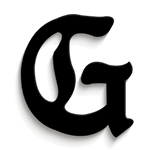 The heavier weight has a darker grey finish on it. The face of the Sub Zero head has some simple white scoring lines on a black face, classy and effective. The lines are actually very shallow grooves, but I hesitate to call them that. The overal head shape of the Flash SZ 3 wood is very nice. It's nice and compact heel to toe with a slight pear shape round the back. The leading edge of the crown looks nice and straight at address despite having a very slight curvature to it. I'm struggling to decipher if the face has a tendency to sit open or neutral at address, but I think it's just a hair open in the "N / S" hosel setting. This is where this club really starts to endear itself to it's users. WIth the heavy weight forward it feels like smashing a nail with a sledgehammer, a really heavy hit. The feel at impact is dense in the center and then more metallic towards the perimeter or the bottom. The sound of a well struck shot with this club is the kind that makes playing partners comment instantly before even watching the flight. This club has very quickly rocketed to the top spot in my bag. The flight is freaking perfection and the numbers produced are something I've never seen out of a FW before. With each well struck ball I can feel it yanking on my heartstrings more and more. The ball comes off the face fast and climbs for what feels like a long time, without a hint of ballooning...it looks very much like a mid-spin driver flight. I also discovered that by teeing the ball up a little higher and catching it high on the face you end up with the same speed, but a higher launching/lower spinning flight which carries even further. I've never been one to get compliments on my golf shots from anyone since they are mostly unimpressive looking and sounding, but the 3 rounds back home that I've played have one thing in common. When I hit this 3 wood pure, my playing partners take notice. It's really nice to hear things like "Holy ballzz!" "Wow, was that 3 wood?!" and "What a great flight!" as opposed to my usual "You gonna shout fore? Or should I?" The other thing that's worth mentioning is the way this 3 wood just seems to want to go straight. 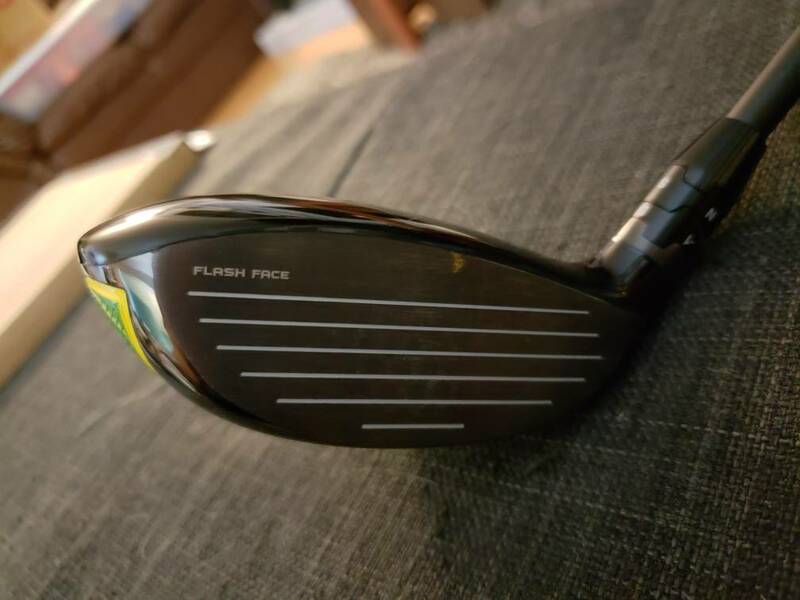 I actually have no idea what specific tech in the head might lend itself to this, but on days when the driver just won't be controlled this 3 wood has so far been a life saver and a fairway finder. Can't wait to read all the feedback about these. Upon first look, I am not a huge fan of the face design. But, I can't wait to give it a try! Will br tough to knock the Rogue out. 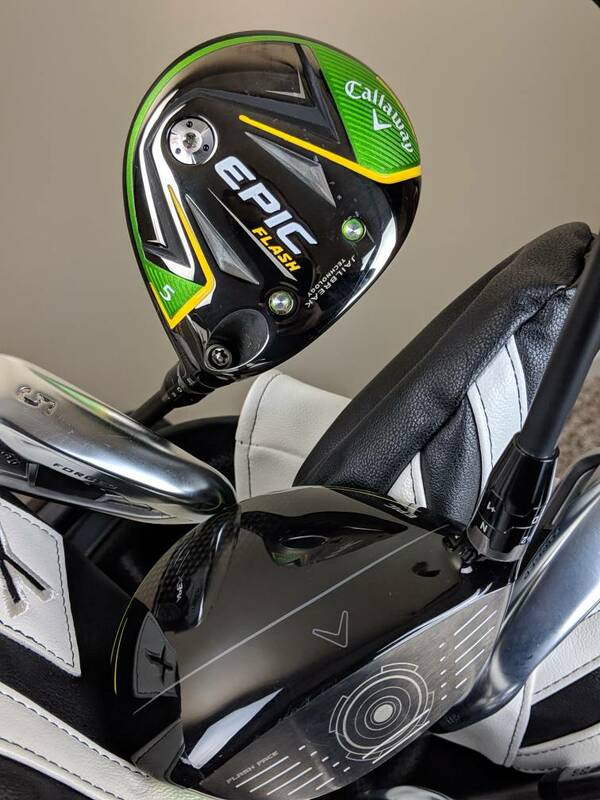 The new 2019 Epic Flash fairway is exciting to me! There’s a ridiculous amount of tech that comes together to create a system of speed, distance, launch and forgiveness that I love. Heading into The Grandaddy, I was concerned about launching these as my previous fairways had rails that provided some assistance. All of my concern was put to bed on the driving range and I haven’t looked back. Jailbreak has been a game changing technology that we first saw in a fairway last year when Rogue launched. This years fairways improve upon that tech by pairing them with the Flash Face and the combination is teling. There is also a new, smaller hosel that was designed to reduce weight at the hosel and work in sync with the new tech. It’s a monster off the tee and I hit my 3W into driver distance several times. Off the deck, I have no issues launching the 3W or the 5W. I’m see more distance and better performance in the wind that we have been dealing with here which I would attribute to ball speed. I freakin love that Target area design on the face. Such a cool detail. Not in love with the color scheme but it definitely won’t deter me from trying this release out. Seems like there’s quite a bit of buzz around this one! What part of the face design are you referring to? Army, how is this SZ 3 Wood off the deck? Easier to hit and launch than my old Alpha 816 4 wood. Ive hit some crazy good shots off the deck so far, which actually shocked me since that's never been a strength of my game. Even more surprising considering that I have the weight forward in my Flash SZ, and I had weight back in my old 816. Fairway woods have been my weakness for some time, but not with these! They are easy to hit, especially off the deck and I am getting great ball flight and distance with both the 3w and 5w. Both have the adapter set at +1/N. Again, the ball seems to just jump off the face of these clubs and I am getting a good 10 yards more in distance than the fairway woods I was using before. The graphics on the face. I'm sure it's hardly noticeable at address and not much different than the X that has been on previous models, but it's a very prominent feature here. That design is only on the Flash models, the SZ models feature a simpler design with white scoring lines only.